80 players (63 scholarship and 17 walk ons). HIGH SCHOOL Signed during December early signing period … Enrolled in January … Consensus four-star and top 250 prospect by ESPN, Rivals and 247Sports … Top 15 player in the state of California by ESPN and Rivals … Ranked the No. 102 overall prospect and No. 10 safety by Rivals … Pegged the No. 7 safety, No. 14 player in California and No. 115 overall in the ESPN300 … Finished with a 247Sports composite rating of No. 137 overall to go along with the No. 11 safety and No. 19 in California … Advanced to the final roster for Nike’s The Opening … A 2018 Under Armour All-American Game selection … Named the California Metro Area Conference Defensive Player of the Year as a senior … Recorded 53 tackles, including four tackles for loss and one sack, as a senior … Broke up 14 passes and led the team with four interceptions … Scored two touchdowns as Edison’s punt returner, averaging 21 yards per return … A dual-threat on offense and defense, catching 12 passes for 207 yards and two touchdowns as a senior … Chose Oregon over Arizona State, Boise State, California, Colorado, Eastern Washington, Fresno State, LSU, Nebraska, Oklahoma, Oregon State, USC, Washington State and others. As A Freshman (2017) Played in six games … Made eight tackles, including one for loss … Had a season-high three tackles, including two solo, against No. 25 Boise State (Dec. 16) in the Las Vegas Bowl … Recorded a tackle in four of six games played. High School Four-star prospect and the top inside linebacker in the state of California by Rivals and 247Sports … Consensus top 20 inside linebacker by ESPN, Rivals and 247Sports … Rated the No. 154 prospect in the class, No. 7 inside linebacker and No. 16 player in California by 247Sports … Tabbed the No. 12 inside linebacker by Rivals and No. 18 by ESPN … Selected to play in the 2017 U.S. Army All-American Game … Played in the 2017 Polynesian Bowl … Named one of the top 100 recruits on the West Coast by the Tacoma News Tribune ... Named first-team All-CIF San Diego Section as a senior … Helped lead Madison to a CIF Division 2-AA state championship after recording 160 tackles, 16 for loss, eight sacks and one interception … Recorded 14 tackles in the Warhawks’ 21-17 state championship victory over Valley Christian … Earned first-team All-CIF San Diego Section honors as a junior … Had 90 tackles, eight for loss, 1.5 sacks and forced a fumble … Made 90 stops along with two sacks, four tackles for loss and two interceptions as a sophomore … Helped Madison to a CIF San Diego Section semifinal appearance in 2014 … Selected Oregon over Arizona, Arizona State, Boston College, California, Colorado, Colorado State, Louisville, LSU, Michigan, Nevada, Notre Dame, Ole Miss, Oregon State, San Diego State, South Carolina, UCF, UNLV, USC, Utah, Vanderbilt, Washington, Washington State, Wisconsin and others. High School Signed during December early signing period … Enrolled in January … Consensus four-star and top 300 prospect by ESPN, Rivals and 247Sports … Rated the No. 1 player in the state of Arizona by Rivals and 247Sports … Ranked as the No. 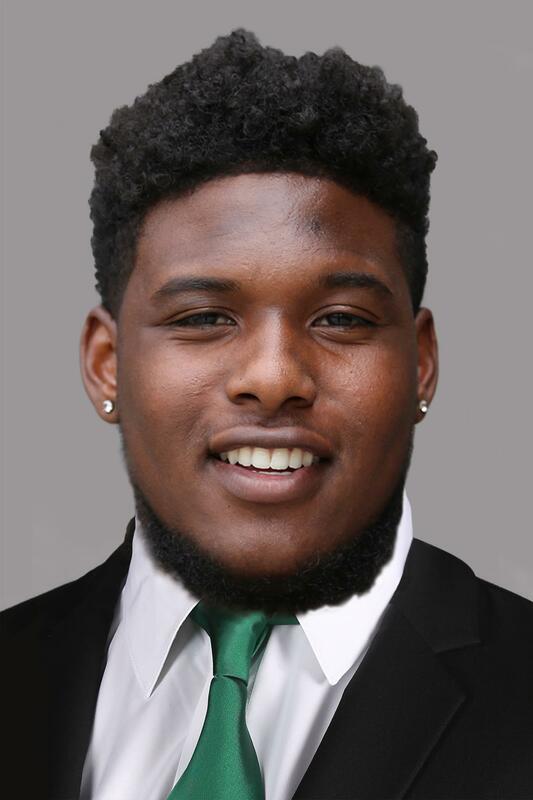 94 overall prospect in the 2018 class and No. 6 pro-style quarterback by 247Sports … Rivals tabbed him No. 119 overall in the class and also the No. 6 pro-style QB … Pegged No. 266 overall in the ESPN300 and the No. 2 player in Arizona … No. 1 prospect in Arizona and No. 140 overall in the 247Sports composite rating … Participated in the Elite 11 camp with the nation’s top quarterback prospects … Selected first-team 6A Premier League as a senior … Named first-team All-Chandler Unified School District … Threw 30 touchdowns and five interceptions, finishing with 3,071 passing yards while completing 62.4 percent of passes … Passed for 238 yards and three touchdowns to lead Hamilton to a first-round win in the Arizona Interscholastic Association State Championships … Earned All-Premier League honorable mention recognition as a junior in 2016 … Finished with 2,079 yards passing, 27 touchdowns and a 62.3 completion percentage … Tossed three touchdown passes and threw for 262 yards in a state quarterfinal loss … Chose Oregon over Alabama, Arizona State, California, Colorado State, Florida State, Georgia, Indiana, Louisville, Michigan, Missouri, Nevada, North Carolina, Oregon State, South Carolina, Washington State and others. As Freshman (2017) Utilized a redshirt. High School Consensus three-star prospect by ESPN, Rivals and 247Sports … Rated the No. 57 athlete and No. 93 wide receiver by Rivals … Finished as the No. 68 athlete in the 247Sports composite rating … Selected to the All-Metro Conference West team as a senior … Ran for 762 yards and 15 touchdowns on just 71 carries for an average of 10.7 yards per rush … Named second-team 8A all-state as a junior … Also named to the second-team All-State Elite Team by FloridaHSFootball.com … Ran for 1,117 yards and 10 touchdowns to help lead Apopka to an 8A state playoffs regional semifinal appearance … Earned 8A honorable mention recognition after helping lead Apopka to an 8A state title as a sophomore … Chose Oregon over Kentucky, Louisville, Marshall, Ohio, South Florida, Toledo and West Virginia. 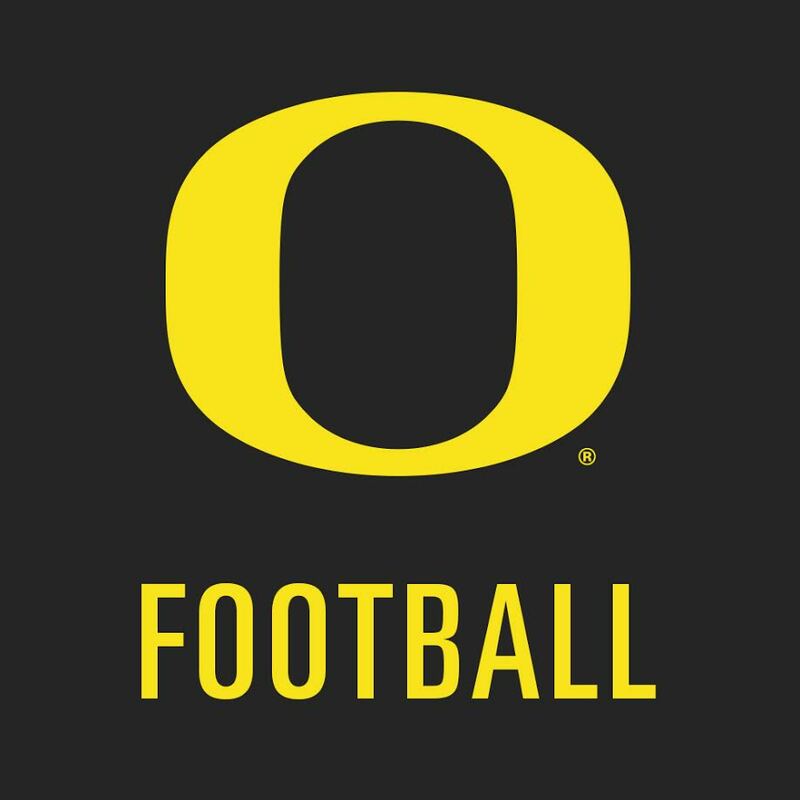 Prior To Oregon Signed during December early signing period … Enrolled in January … Consensus three-star junior college prospect by ESPN, Rivals and 247Sports … Ranked the No. 75 overall junior college prospect, No. 8 cornerback and No. 11 player in Arizona by 247Sports … Came in at No. 86 overall in the Rivals JUCO Top 100 and the No. 8 cornerback … Originally committed to Indiana State, where he redshirted in 2014 before transferring to Pima Community College for two seasons … Ranked 86th among all junior college prospects in the nation according to Rivals ... Named a 2017 second-team NJCAA All-American … Received 2017 Western States Football League first-team defensive back and first-team All-Arizona Community College Athletic Conference honors as a sophomore … Recorded 45 tackles, 35 solo, and five pass breakups in 2017 … Two-time all-state and all-conference selection at Washington High School in South Bend, Ind. … Chose Oregon over Arizona, California, East Carolina, Oklahoma State, Temple and Utah. High School Consensus four-star prospect by ESPN, Rivals and 247Sports … Rated the No. 4 player in the state of California, No. 9 wide receiver and No. 66 player in the ESPN300 … Rivals tabbed him the No. 106 overall prospect, No. 17 player in California and No. 18 wide out in the class … Ranked the No. 127 overall recruit and No. 22 wide receiver in the 247Sports composite rating … Invited to play in the 2018 Army All-American game … Advanced to the final roster for Nike’s The Opening … Caught 32 passes for 515 yards and six touchdowns as a senior … Recorded more than 100 receiving yards in two games during the 2017 season … An All-USA Today California second-team selection his junior and senior seasons … Had more than 1,000 receiving yards as a freshman, sophomore, and junior … Racked up 3,870 career receiving yards on 194 catches, averaging 19.9 yards per catch … Recorded 39 total touchdowns in his four seasons as a Jackrabbit … Chose Oregon over Alabama, Arizona, Arizona State. Auburn, Boise State, Boston College, California, Colorado, Colorado State, Florida, Florida State, Fresno State, Georgia, LSU, Maryland, Miami, Michigan, Michigan State, Mississippi State, Nebraska, Nevada, North Carolina, Notre Dame, Ohio State, Oklahoma, Ole Miss, Oregon State, Penn State, Pittsburgh, Purdue, South Carolina, Stanford, Tennessee, Texas A&M, Tulsa, UCLA, USC, Utah, Washington, Washington State and others. High School Signed during December early signing period … Enrolled in January … Consensus three-star prospect by ESPN, Rivals and 247Sports … Rated the No. 33 running back in the nation and No. 64 player in the state of California by 247Sports … Ranked the No. 72 running back by ESPN ... Pegged the No. 51 running back in the 247Sports composite rating … Named the Big VIII League Offensive Player of the Year as a senior in 2017 … Ran for 2,383 yards on 255 carries with 34 touchdowns … Averaged 216.6 rushing yards per game and 9.3 yards per carry and ran for more than 100 yards in nine games … A 2017 All-CIF Division 2 offensive team selection … Racked up 1,878 yards on the ground on 259 carries with 15 touchdowns as a junior … Surpassed 100 yards eight times while averaging 7.3 yards per carry and 156.5 yards per game … Caught 29 passes for 465 yards and six touchdowns … As a sophomore, ran for 844 yards on 94 carries with nine touchdowns … Averaged 9.0 yards per carry and 84.4 yards per game … Brother of Oregon linebacker Troy Dye. High School Signed during December early signing period … Enrolled in January … Four-star prospect and the No. 5 cornerback in the class by Rivals … Top six corner in the state of Texas by Rivals and 247Sports … Three-star rating and the No. 39 cornerback by 247Sports … Rivals also ranked him the No. 47 prospect in Texas … Had a 247Sports composite rating as the No. 38 cornerback and No. 57 in Texas … Participated in the The Opening’s Dallas Regional … Named first-team All-6A District 5 as a senior … Selected to the 247Sports All-Midlands team ... Made five interceptions, returning two for touchdowns, and 50 total tackles while forcing a fumble … Earned first-team All-6A District 5 as a junior … Intercepted four passes and made 38 tackles while defending 14 passes and recovering two fumbles … Picked off four passes, returning one for a touchdown, while making 28 tackles and recording two tackles for loss as a freshman … Chose Oregon over Alabama, Arizona, Arizona State, Baylor, Clemson, Colorado, Florida, Georgia, Houston, Illinois, Iowa State, Kansas, LSU, Missouri, Nebraska, North Carolina, Oklahoma, Oklahoma State, Penn State, South Carolina, Tennessee, Texas A&M, Texas Tech, Tulsa, UCLA, Washington, Washington State and others. High School Signed during December early signing period … Enrolled in January … Four-star and top 10 prospect in the state of North Carolina by ESPN and Rivals … Ranked No. 214 in the ESPN300 … Tabbed the No. 13 running back, No. 7 player in North Carolina and the No. 2 running back in the state by ESPN … Tabbed the No. 8 all-purpose back, No. 10 player in North Carolina and No. 243 overall in the class by Rivals … Finished as a four-star, No. 12 running back and No. 279 overall in the 247Sports composite rating … Played in three games his senior season before being sidelined due to injury … Racked up 290 all-purpose yards and three touchdowns over the three-game span, rushing for 128 yards on 38 carries and catching 13 passes for 164 yards … Led Hillside with 11 touchdowns scored as a junior; nine rushing, two receiving and one kickoff return … Finished junior year with 684 rushing yards on 83 carries, averaging 8.2 yards per carry … Ran for more than 100 yards four times in 2016 … Chose Oregon over Appalachian State, Arizona, Boston College, Duke, East Carolina, Kentucky, Louisville, LSU, Maryland, Mississippi State, N.C. State, Ole Miss, Penn State, South Carolina, Tennessee, Vanderbilt, Virginia, Virginia Tech, Wake Forest, West Virginia, Wisconsin and others. As A Sophomore (2017) Utilized a redshirt. As A Freshman (2016) Saw action in eight games … Recorded 10 (4-6) tackles … Had a season-high five tackles at California (Oct. 21). High School Four-star and the No. 8 player in the state of Maryland according to Rivals … Consensus top three outside linebacker in Maryland by ESPN, Rivals and 247Sports … Ranked the No. 20 outside linebacker in the class and No. 25 in the 247Sports composite rating … Also finished as the No. 12 player in Maryland in the 247Sports composite rating … Transferred to Landon High School for senior season … Team captain … Blocked eight kicks during a five-week span before his senior season was cut short … PrepStar all-East Region selection … Chose Oregon over Arizona State, Boston College, California, Duke, East Carolina, Illinois, Indiana, Iowa, Kentucky, Marshall, Maryland, Michigan State, Mississippi State, North Carolina, N.C. State, Ole Miss, Pittsburgh, Rutgers, Stanford, Syracuse, TCU, Temple, Tennessee, Toledo, Vanderbilt, Virginia, Virginia Tech, Wake Forest, Washington State, West Virginia, Wisconsin and others. As A Freshman (2017) Utilized a redshirt. High School Four-star prospect by ESPN … Top 40 player in the state of California by ESPN and 247Sports … Ranked the No. 24 running back and No. 38 prospect in California by 247Sports … Tabbed the No. 32 running back and No. 36 recruit in California by ESPN … Named a top 100 recruit on the West Coast by the Tacoma News Tribune ... Named the 2016 CIF San Diego Section Offensive Player of the Year as a senior … Awarded the 2016 Silver Pigskin … Ran for 2,399 yards and 36 touchdowns on 262 carries, averaging 9.2 yards per carry to help lead Mater Dei Catholic to a CIF San Diego Section Division II Championship … Also caught three touchdown passes and returned one kickoff for a touchdown while accumulating 2,605 yards of total offense … Scored five rushing touchdowns in a game three times in 2016 … Selected first-team All-CIF San Diego Section as a junior … Carried the ball 169 times for 2,135 yards for an impressive 12.6 yards per carry while rushing for 28 touchdowns … Also caught five touchdown passes, returned a kick for a touchdown and intercepted two passes to lead Mater Dei Catholic to a Division V-AA state title … Scored three total touchdowns and ran for 153 yards in the Crusaders’ 56-21 win over Immanuel in the state championship game … Chose Oregon over Arizona, Arizona State, Baylor, Boston College, California, Colorado, Nebraska, Oregon State, UCLA, Utah, Washington State, Wisconsin and others. As A Redshirt Freshman (2017) Did not see any game action. As A Freshman (2016) Utilized a redshirt. 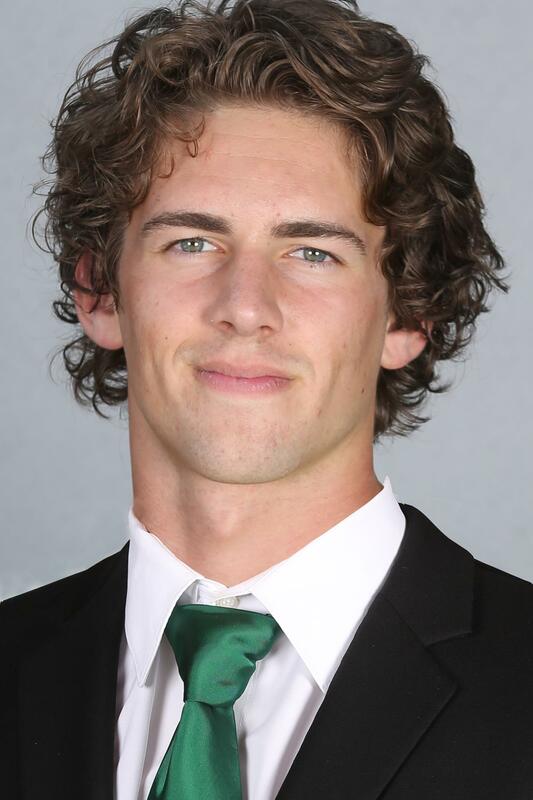 High School Played wide receiver, safety and quarterback as a freshman and sophomore at Eleanor Roosevelt High School before turning his focus to baseball his junior and senior seasons … Also played volleyball his senior year and was a first-team All-Big VIII League honoree. As A Freshman (2017) Utilized a redshirt. High School Four-star prospect by 247Sports … Also rated the No. 258 overall recruit, No. 16 athlete and No. 29 prospect in the state of California by 247Sports … Rated the No. 42 running back in the country by Rivals … Played in the 2017 Polynesian Bowl … Named one of the top 100 recruits on the West Coast by the Tacoma News Tribune … Selected first-team All-West Catholic Athletic League as a senior … Ran for 805 yards and 11 touchdowns on 161 carries helping lead St. Francis to a CIF Central Coast Section Division 2 semifinal appearance as a senior … Named the WCAL Junior Player of the Year after rushing for 1,438 yards and 17 touchdowns, going over the 100-yard mark five times … Racked up 2,202 all-purpose yards while returning two kickoffs for touchdowns … Rushed for 258 yards and four touchdowns for an average of 12.9 yards per carry in a CIF Central Coast Section Division 2 semifinal win over Wilcox … Chose Oregon over Army, Boise State, BYU, California, Iowa State, UCF, UNLV, USC, Utah, Washington State and others. As Freshman (2017) Utilized a redshirt. High School Received the National Football Foundation (NFF) scholar athlete award as a senior at Marina High School … Earned All-Sunset League first team honors … Totaled 1,528 all-purpose yards … Had 47 receptions for 950 yards and 13 total touchdowns … Averaged 20.2 yards per catch … Also had a rushing TD and an interception for a TD … Inducted into the Marinas Hal of Fame for football following his senior year. Also played soccer and ran track … Finished seventh in school history in the 300 hurdles. As A Freshman (2017) Utilized a redshirt. High School Four-star prospect and top two player in the state of Hawaii by ESPN and Rivals … Tabbed the No. 11 inside linebacker in the class by Rivals … Rated as an outside linebacker by ESPN (No. 24) and 247Sports (No. 31) … Finished as a four-star and the No. 16 outside linebacker in the 247Sports composite rating … Named one of the top 100 recruits on the West Coast by the Tacoma News Tribune ... Selected second-team all-state by the Honolulu Star-Advertiser as a senior after helping lead the Crusaders to an Open Division state title … Also named honorable mention All-Hawaii by ScoringLive.com … Made four tackles with two sacks in a state semifinal win over Waianae … Recorded six tackles in St. Louis’ 30-14 win over Kahuku in the state championship game … Named the KHON Cover2 Defensive Player of the Year following junior season … Also earned first-team All-Hawaii honors from ScoringLive.com … Named second-team all-state by the Honolulu Star-Advertiser after playing a key role on St. Louis’ state runner-up team … Made seven tackles while forcing and recovering a fumble in a state semifinal win over Mililani … Selected Oregon over Arizona, Arizona State, Colorado, Hawaii, Nebraska, UCF, Washington and Washington State. As A Freshman At Miami (2017) Saw action in eight games, including the ACC Championship game against No. 1 Clemson (Dec. 2) and the Capital One Orange Bowl against No. 6 Wisconsin (Dec. 30) … Made three tackles with two coming against Clemson in the ACC Championship … First career tackle came at Florida State (Oct. 7). High School Consensus four-star and top 115 prospect in the class by ESPN, Rivals and 247Sports … Rated a top 10 player in the state of California by ESPN and 247Sports … Ranked No. 62 in the ESPN300 as the No. 5 defensive end … Tabbed the No. 65 prospect, No. 6 weak-side defensive end and No. 9 player in California by 247Sports … Rivals ranked him the No. 112 prospect in the class … Selected to the 2017 Under Armour All-American game … Ranked No. 34 on the PrepStar Top 150 Dream Team … Totaled 85 tackles (47 solo), 14.5 sacks and 31 tackles for loss during his senior season … Coached by John Heffernan at Luther Burbank High School … Chose Miami over Alabama, Arizona, Arizona State, Arkansas, Auburn, Baylor, Boise State, Boston College, BYU, California, Clemson, Colorado, Duke, Florida, Florida State, Georgia, Houston, Indiana, Iowa State, Kansas, Kansas State, Louisville, LSU, Maryland, Memphis, Michigan, Minnesota, Mississippi State, Nebraska, North Carolina, Notre Dame, Ohio State, Oklahoma, Oklahoma State, Ole Miss, Oregon, Oregon State, Penn State, Pittsburgh, Purdue, Rutgers, South Carolina, Syracuse, TCU, Tennessee, Texas A&M, Texas Tech, UCF, UCLA, USC, USF, Utah, Vanderbilt, Virginia, Virginia Tech, Wake Forest, Washington, Washington State, West Virginia and others. As A Sophomore (2017) Did not see any game action. As A Redshirt Freshman (2016) Did not see any game action. As A Freshman (2015) Utilized a redshirt. High School 2015 graduate of the Saint Louis School … Two-year letterman and was named Interscholastic League of Honolulu (ILH) honorable mention as a senior linebacker … Helped the Crusaders finish the 2014 season with a 6-4 record. As A Redshirt Freshman (2017) Played in all 13 games … Made five tackles, including two solo … Had two tackles at Wyoming (Sept. 16) and against Oregon State (Nov. 25). As A Freshman (2016) » Defensive Scout Team Player of the Year Utilized a redshirt. High School Enrolled in January … Consensus three-star prospect by ESPN, Rivals and 247Sports … Ranked a top 50 player in the state of California and the No. 52 defensive end in the class by ESPN … Tabbed the No. 28 strong-side defensive end by Rivals … The No. 4 ranked defensive end in California by 247Sports … Earned first-team all-Division IV-V all-state acclaim (Cal-Hi Sports) as a defensive linemen following the 2015 campaign … Named to the all-state second team as a junior … Accumulated career totals of 348 tackles (193 unassisted) in 35 games with 23 sacks, seven forced fumbles and four blocked kicks … Had 86 stops (55 solo) and 17 tackles-for-loss his final prep season with two interceptions … Credited with over 100 tackles in both his sophomore and junior seasons … Rushed for 231 career yards (6.4 per-carry avg.) and six touchdowns … Had 48 catches for 812 yards and six scores … Chose Oregon over Arizona State, Boise State, California, Oregon State, San Diego State, UCLA and Utah State. As A Sophomore (2017) Appeared in 11 games … Made both tackles on the season against Oregon State (Nov. 25). As A Freshman (2016) Played in all 12 games … Had 12 tackles and two pass breakups … Finished with a tackle in seven contests … Set a season-high with four tackles, including three solo, against Stanford (Nov. 12). High School Consensus four-star prospect by ESPN, Rivals and 247Sports … Ranked No. 154 overall in the class, the No. 12 weak-side defensive end and a top 20 player in the state of California by 247Sports … Rivals ranked him the No. 21 weak-side defensive end … Tabbed a top 40 defensive and top 40 player in California by ESPN … PrepStar All-West Region choice … Helped the Bears finish his senior season with a 7-4 record after advancing to the quarterfinals of the Division I Central Section of the CIF state playoffs … Named a Fresno Bee’s Fab 50 Football All-Star … Chose Oregon over Colorado State, Fresno State, Michigan, Oregon State, Tennessee, UCLA and USC. 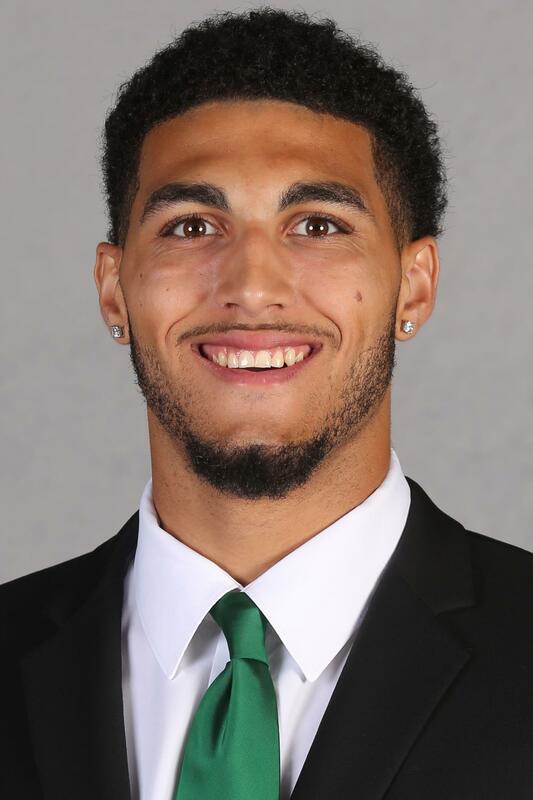 As A Freshman (2017) Made 10 starts as a true freshman and played in all 13 games … Totaled 21 receptions for 299 yards and one touchdown … Ranked sixth among Pac-12 freshmen in receiving yards … Had a catch in nine games, including each of the first six … Accounted for 14 first downs through the air, including at least one in all nine games with a reception … Had six catches of 20+ yards and a team-best two of 50+ yards … vs. Southern Utah (Sept. 2): Hauled in a 37-yard pass for his second career catch … vs. Nebraska (Sept. 9): Totaled four catches for a season-high 80 yards, highlighted by a 51-yard grab … Accounted for three first downs … at Wyoming (Sept. 16): Equaled his season-high with four catches with three going for first downs … Finished with 53 yards … at Arizona State (Sept. 23): Had two catches for 24 yards, highlighted by a 20-yard TD … vs. Arizona (Nov. 18): Hauled in his second 50-yard catch of the season. High School Consensus three-star prospect by ESPN, Rivals and 247Sports … Rated the No. 11 overall prospect in Arizona by ESPN … Ranked the No. 27 recruit in Arizona by 247Sports composite rating … Selected to be a part of USA Football’s Under-19 team following senior season … Caught 77 passes for 1,274 yards and eight touchdowns while averaging 16.5 yards per reception for Chandler’s Arizona 6A state championship team … Went over the 100-yard mark in receiving five times in 2016 … Biggest game of the year came in a win over Pinnacle after catching 10 passes for 145 yards and two touchdowns … As a junior, caught 37 passes for 552 yards and two touchdowns to help lead the Wolves to a state semifinal appearance … Chose Oregon over Idaho, Michigan State, Montana, Nevada, New Mexico, New Mexico State, Northern Arizona, South Dakota State, UNLV, Utah State and Wyoming. As A Freshman (2017) Utilized a redshirt. High School Consensus three-star prospect by ESPN, Rivals and 247Sports … Ranked No. 123 nationally among wide receivers and No. 121 overall in the state of Florida by 247Sports … Named third-team All-Broward County after helping lead Deerfield Beach to an 8A state semifinal appearance as a senior … Showed big-play capability as a senior, averaging 25.8 yards per reception … Played junior season at Stranahan High School after spending first two years of high school at Somerset Academy … Chose Oregon over Bowling Green, Cincinnati, Duke, FIU, FAU, Illinois, Indiana, Kentucky, Louisville, Marshall, Miami, Nebraska, North Carolina State, Ohio, Penn State, South Florida, Syracuse, Tulane, Utah and West Virginia. As A Redshirt Freshman (2017) » Pac-12 All-Academic Honorable Mention Played in all 13 games … Made first two career starts against California (Sept. 30) and Arizona (Nov. 18) … Finished with six catches for 89 yards and a touchdown … Four of five catches resulted in a first down … vs. Nebraska (Sept. 9): Hauled in first career catch that went for 22 yards … vs. Utah (Oct. 28): Gave Oregon the early lead with his first career TD catch … vs. Arizona (Nov. 18): Had two catches for 47 yards, highlighted by a season-long 35-yard grab. As A Freshman (2016) Utilized a redshirt. High School Enrolled in January … Consensus three-star prospect by ESPN, Rivals and 247Sports … Entered the 2015 season rated as the No. 1 tight end prospect in the western half of the country (247Sports) before a leg injury sidelined him for the remainder of his senior season after two games ... Rated the No. 2 player in Oregon by ESPN … Tabbed the No. 17 tight end in the class by Rivals … Put together career totals of 51 catches for 694 yards (13.6 avg.) and 10 touchdowns ... Named a PrepStar all-West Region selection and 2014 all-state honorable mention choice (The Oregonian) … Claimed first-team all-Intermountain League tight end honors after grabbing 35 receptions for 491 yards and eight touchdowns as a junior for the Storm … Helped Summit HS win the 5A state championship (12-1) over Ashland in 2015 ... Totaled 49 tackles in 2014, including four quarterback sacks and was credited with three forced fumbles with three pass breakups ... Received second-team all-league accolades on defense as a sophomore in addition to honorable mention conference kudos on offense ... Tutored along the defensive line by former Oregon and Minnesota Vikings’ standout Neil Elshire … Chose Oregon over Arizona, Arizona State, Boise State, Colorado, Michigan, Oregon State, UCLA, Washington, Washington State and others. As A Sophomore (2017) Played in 10 games and made his first career start against California (Sept. 30) … Hauled in two catches for 20 yards in the win over California. As A Redshirt Freshman (2016) Saw time in two games and made a special teams tackle at Washington State (Oct. 1). As A Freshman (2015) Utilized a redshirt. High School Originally regarded as a basketball player before transferring from Jesuit High School for his senior season … Became a two-way starter at Tigard High School as a senior after not playing football during sophomore and junior seasons … Finished the season as school’s third-leading receiver with 24 catches for 502 yards and six touchdowns … Caught three passes for 76 yards and two touchdowns against Canby HS … Had five catches for a season-high 134 yards and a score against Tualatin HS … Racked up 45 tackles, including 23 solo on defense as a defensive end … Led the team with 12 tackles for loss and 7.5 sacks.